The simulation software Flexsim makes it easy to visualize, analyze and optimize any system in any industry. Whether the process is manufacturing, logistics or administration, Flexsim is the tool to use. 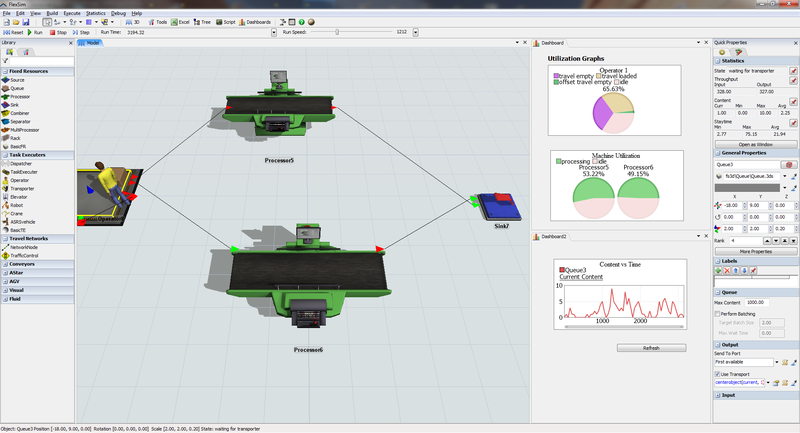 Flexsim modeling objects can be customized exactly to match the process. It is both powerful and user-friendly allowing users to create models without the need of programming. Performing improvement studies with Flexsim is easy. 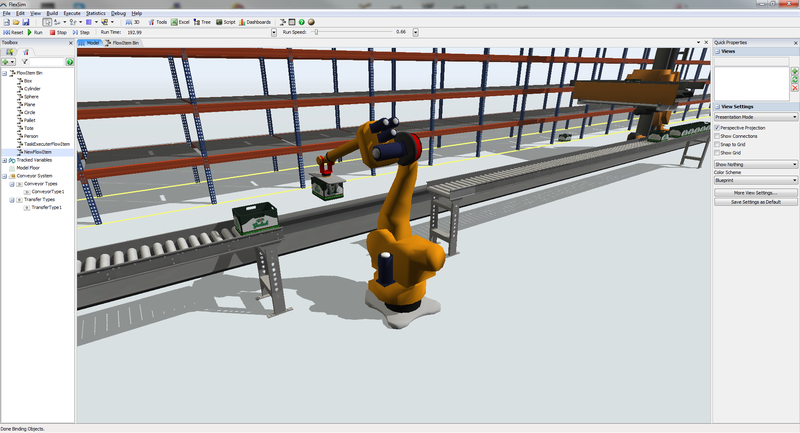 The simulation software offers a wide range of easy configurable objects, allowing users to create complex interactions just by using parameters and pre-defined logic blocks. The flexible and configurable dashboard creates insight into the system performance. The experiment wizard enables all kinds of scenario analyses tools allowing the user to optimize strategic investments and even operational plans. 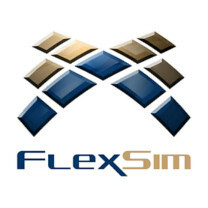 Flexsim provides the power you need for even the most demanding simulation projects. Flexsim will change the way you look at simulation forever, guaranteed! Flexsim can also be used as a development platform. To achieve this openness and flexibility Flexsim is the only simulation product in the world to incorporate a C++ IDE (MS Visual C++.Net) and compiler into a graphical modeling environment. 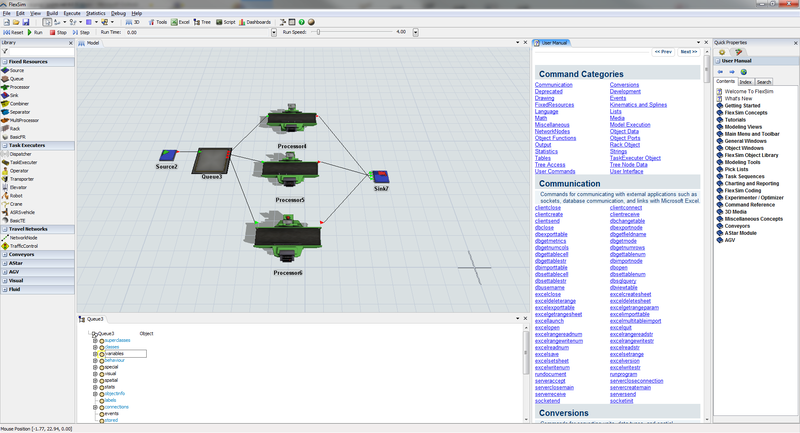 C++ can be used directly in defining model logic and compiled right in the Flexsim application. Flexsim is powerful yet easy-to-use software for simulation. A comprehensive and innovative simulation engine is hidden behind drag and drop controls, drop-down lists and many other intuitive features that make it accessible for anyone to experiment with a model. All simulation models are created to scale and are presented using 3D visuals, making it easy to watch the virtual system go through its daily operations and visually observe which elements are lacking in efficiency. FlexSim also gives decision makers the tools to confirm their observations, with impressive statistical reporting and analysis built right into the software. Break out of 2D simulations and into a whole new world of true to life visualization. Build your models in FlexSim’s native 3D from the start – no post processing! 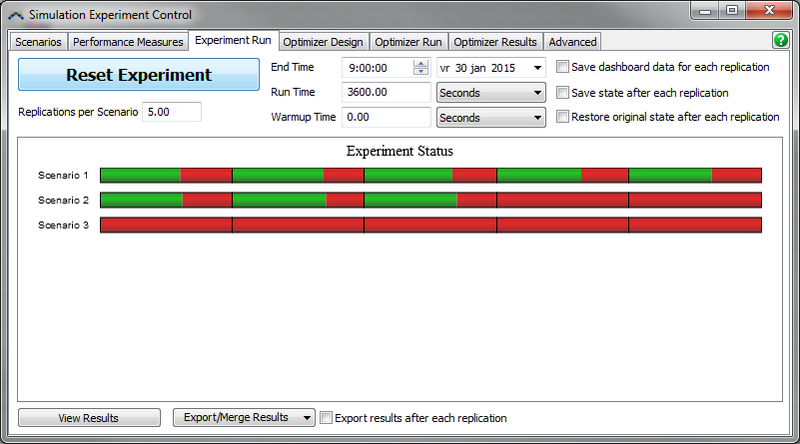 FlexSim simulation software includes a built-in experimenter as well as OptQuest® to allow you to maximize your system’s potential. Drag and drop model building, intuitive controls, comprehensive help, and more combine to make FlexSim the easiest simulation software you’ll ever use. 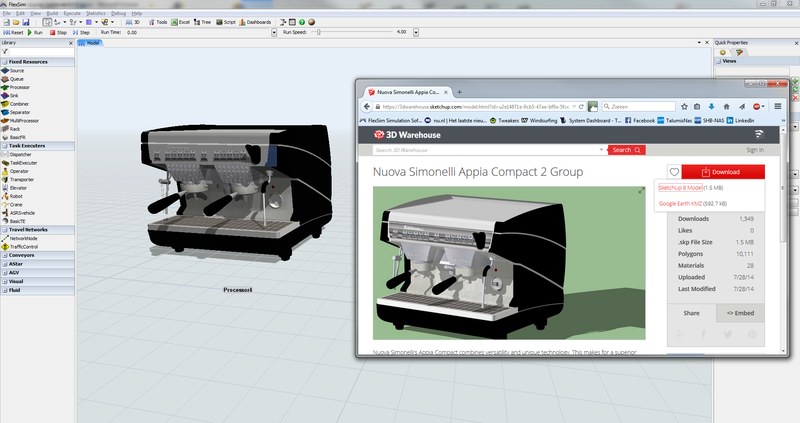 Import your own shapes and CAD layouts, create your own objects or user libraries, customize controls, and so much more! Discover the causes of bottlenecks and backups. Create 3D charts and graphs right in your model. Export reports and statistics.